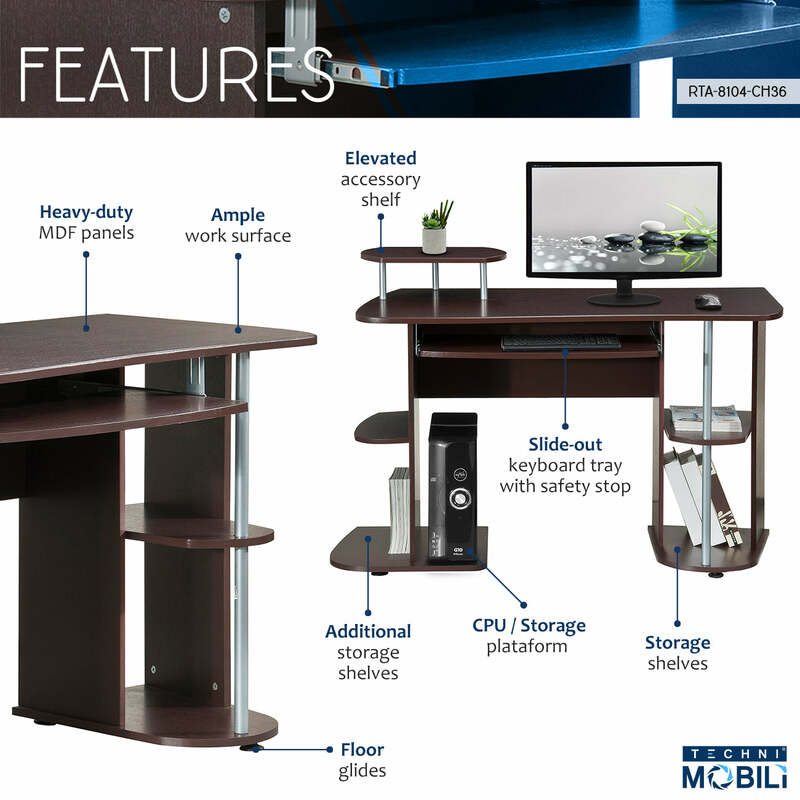 This Techni Mobili Computer Workstation Desk incorporates abundant shelving into a compact, sturdy, and stylish design. It features a slide-out keyboard panel equipped with a safety stop, an elevated desktop accessory shelf, several shelves and a CPU/storage platform. The desktop has an 80lbs weight capacity, the shelves all have 30lbs weight capacities, with the exception of the small shelf behind the media rack which can hold up to 10lbs. The multifunctional desk is made of heavy-duty MDF panels with laminate veneer. It's scratch-resistant powder-coated steel frame adds a nice touch to it's elegant look. Color: Chocolate.